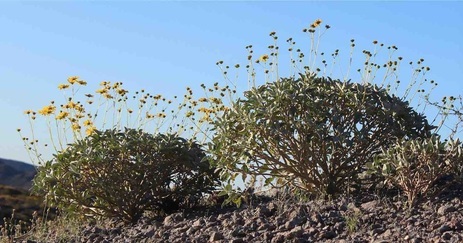 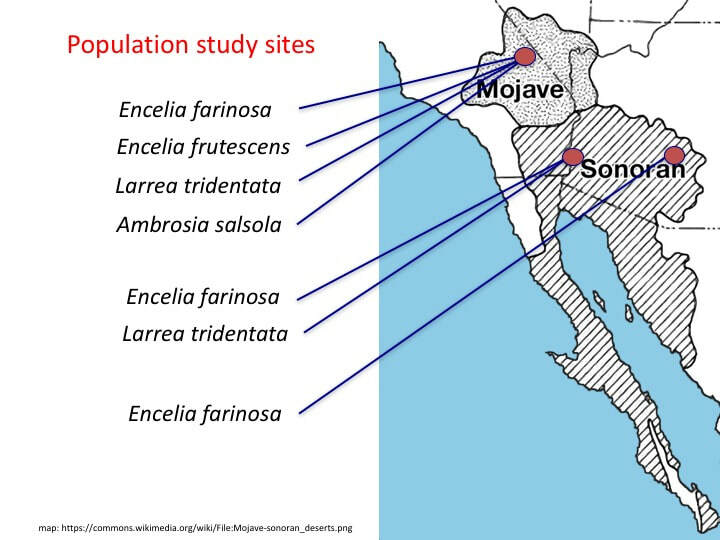 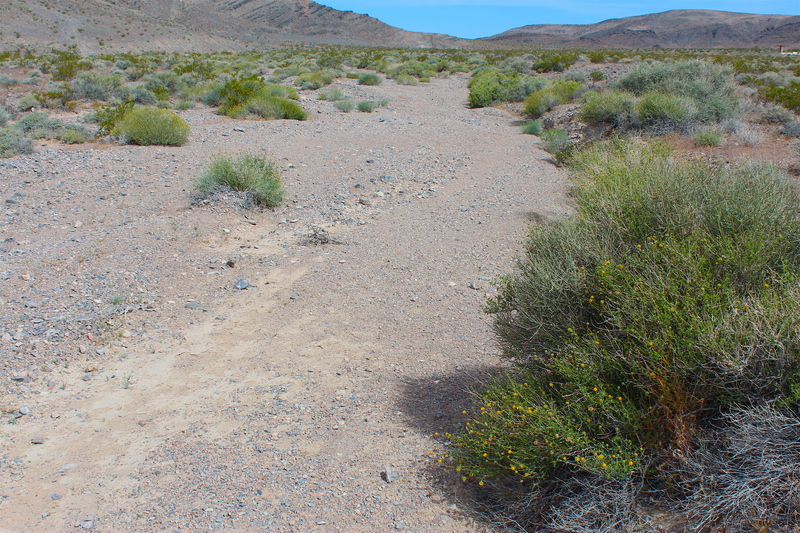 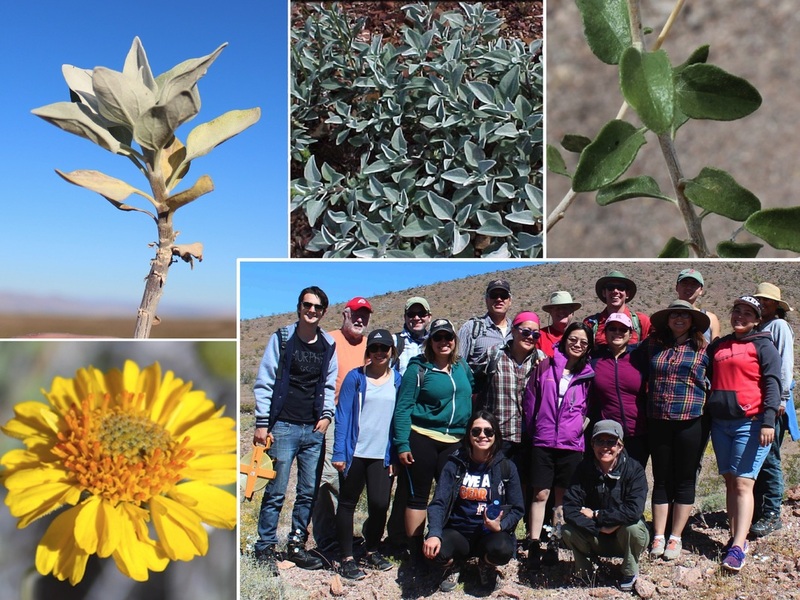 Since 1980, we have monitored population characteristics and dynamics of Encelia farinosa, Encelia frutescens, and Ambrosia salsola, drought deciduous shrub species. 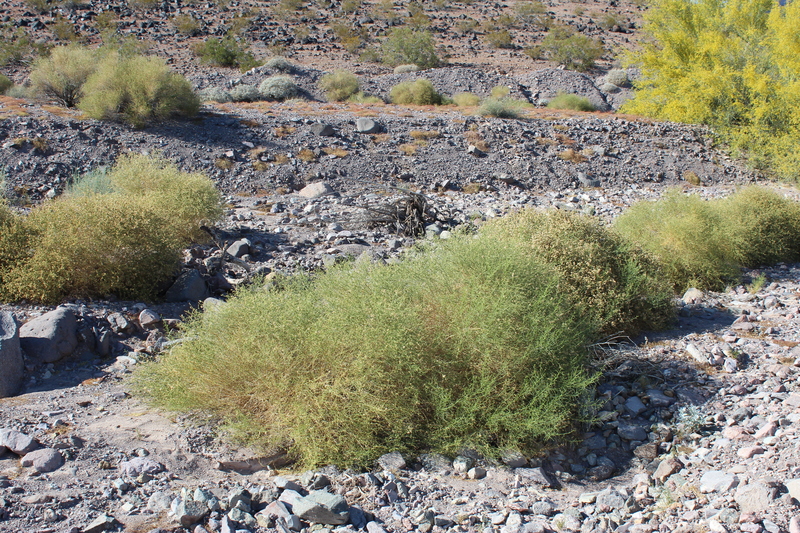 Periodically of the perennial evergreen Larrea tridentata at multiple sites between Death Valley and Superior. 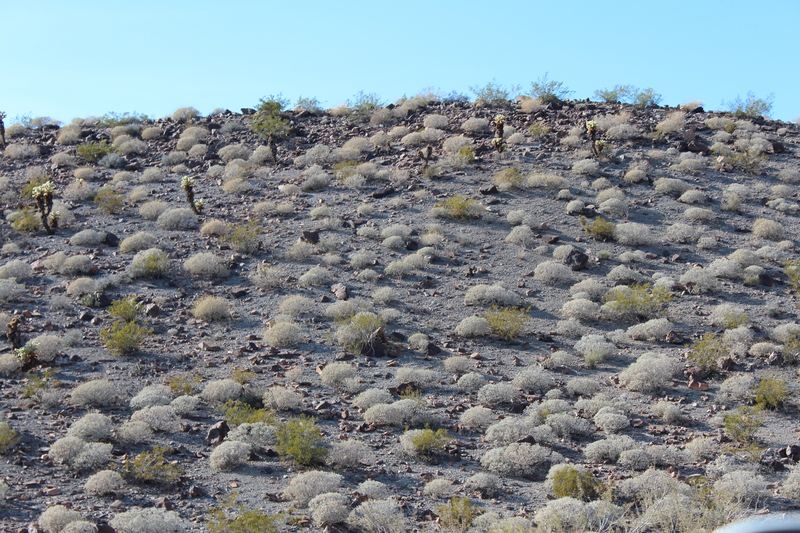 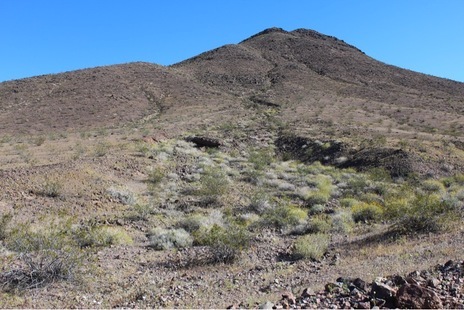 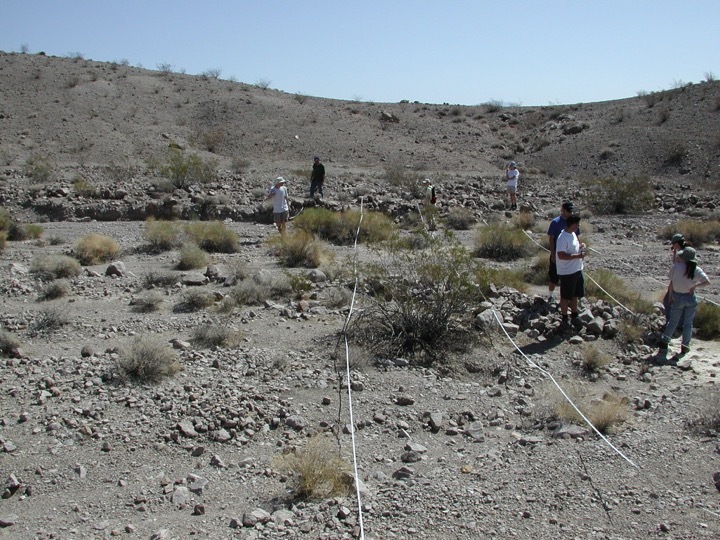 The Death Valley and Oatman area populations are mapped and monitored annually.